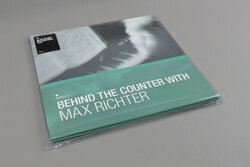 Various Artists - Behind The Counter: Max Richter. Vinyl LP, CD. Bleep. The first release in Rough Trade’s mix series Behind the Counter series sees post-minimalist composer Max Richter scour the shop-floor. Choosing from records stocked at the label’s flagship London store, Richter presents his selections as both a continuous mix and, for the vinyl, as stand-alone pieces. The tracklist is unsurprisingly varied, with Charles Ives and J. S. Bach playing off modern luminaries like Let’s Eat Grandma and Kaitlyn Aurelia Smith. Richter even finds time to throw in a couple of his own bits, the highlight of which is the gorgeous and plaintive ‘Dream 3’ with Clarice Jensen and Ben Russell.